We started our travel blog in May 2017, after a glorious visit to Lake Garda, Italy. It was something that we have been discussing for many years, but the beauty of Lake Garda compelled us to finally sit down and tell our stories. Since then, we have learnt some important lessons about blogging, but most of all, have fallen in love with the entire travel blogging experience. 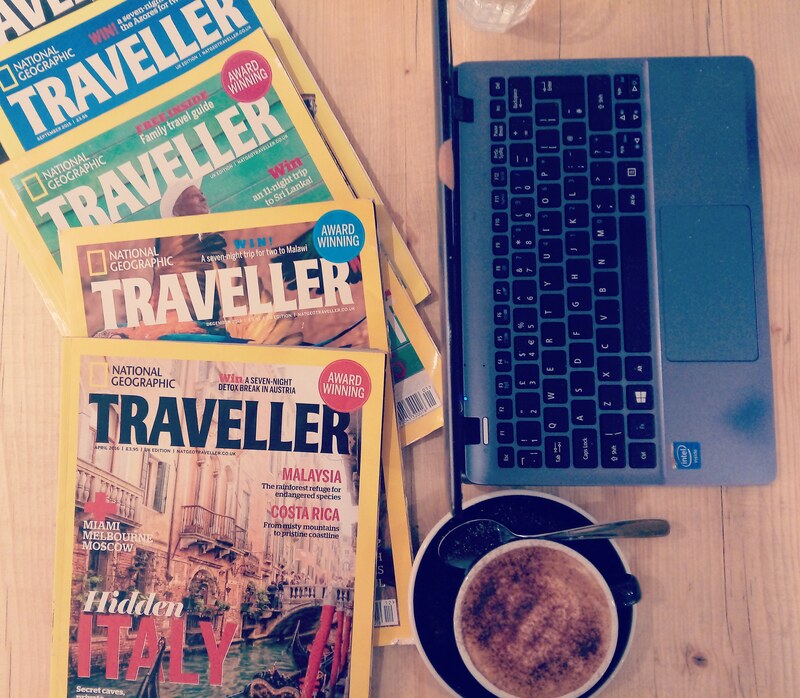 So, you’re thinking of starting your own travel blog? That’s great news! We hope that the following tips help you. Setting up your website is the first step, of course. Depending on how IT literate you are, this could be challenging or just plain fun. We recommend a great book called ‘Blogging for Creatives’ (here’s a link to tell you more about it. ), which will help you with the first steps of creating your blog. We chose WordPress for our blog, as I (Rachel) was already familiar with how it worked. Also, they are well established and have a lot of help available to you if you require it. Why Would Someone Read Your Blog? This is a vital question that you need to ask yourself. People love travel stories, but what makes your stories different, and what would draw a reader to your blog? Our tagline is ‘Documenting our travels, helping you with yours’, because that is exactly what we hope to do. Take a quick glance at our posts and you will see that they are full of advice and tips, because, as well as telling our travel stories, we like to engage our readers with information that might help them in their travels. This might sound obvious, but you may be surprised with how easy it is to let that blog post slip away from you. At the start, no one is going to be lighting up your phone asking you to finish and post that new essay/article. It’s down to you to self-motivate. Initially, we really found it a challenge to set aside time to write posts and found that we were not posting as often as we had hoped. Then we got serious, and set clear and definite bare minimum limits on blog posts. Now, we have to post at least twice a week (usually on Wednesday and at the weekend). The reminder that this needs to happen helps us keep our blog up to date. You may be reading this and thinking ‘Great, I’m going to post every day!’ – Well that is fantastic, but only do so if you have something to say. Never post just for the act of posting, make sure that you have created a quality post that you believe your readers will enjoy. It’s about considering your content, and finding what fascinates you. If you love something, be it travel, stationary, or food, you won’t run out of ideas – you’ll be desperate to post! It’s always a good idea to write a list of potential blog posts and keep them close by. This way, if you find that you would like to post but are struggling, you can take a look at your list and pick one that you fancy writing. Also, make a note of ideas when they come to you, so that you can add it to the list later on. Blogging of any kind may have its rewards, and the rumours surrounding travel blogging certainly attract a lot of people to it. But, don’t start a travel blog because you want to get some free nights away etc. This is a rare occurrence, and will not drive your desire to blog. If you want to make a blog amazing, it’s going to take your time and energy. If you are going to invest your time and energy into something, do it because it is something that you love. We have fallen in love with blogging, and I even occasionally wake up in the night to make a note of a quick blog idea! Though Daniel doesn’t do the same, he is also passionate about Travelling Writers, and we find a lot of joy in writing, travelling and dreaming together. Do you have any questions about blogging that you would like to ask? Feel free to contact us. Not a problem, so glad that these are useful to you! Best of luck with your blog. Thank you so much I need this help! I am new to blogging and I was thinking to myself how can I make my blog different. I will be an au pair in Spain in a few months so I want to get it started now to master it. If you have any more advice for me please let me know! Hi! Thanks for reading, I’m so glad it helped. We were au pairs in France and absolutely loved it, you will have a fabulous time! Thank you ! I am hoping so !